The BBC is today announcing it will merge BBC Studios and BBC Worldwide to form a single commercial organisation, to be called BBC Studios. At a time of an increasingly competitive and global market for production and distribution, this new organisational structure will bring the BBC into line with the rest of the industry, integrating programme production, sales and distribution in a single entity. Supporting the UK creative economy by distributing British content as a cultural export and source of global influence. The move will see the range of commercial activities already carried out by BBC Worldwide – including content financing, sales and commercial channels – and BBC Studios – the BBC’s main programme production arm – brought together in the simplified organisation with a single business plan and combined operating model. While BBC Studios and BBC Worldwide already work together closely – such as on current TV hit Blue Planet II which is produced by BBC Studios but which is over three quarters funded by BBC Worldwide and partners – joining forces will allow them to operate more simply and efficiently. All of the major established UK industry players integrate their programme production and distribution in this way. The TV industry has been changing fast and major global players are investing vast sums in content – but not primarily in British content reflecting British lives. Recent research by consultants Mediatique earlier this month forecast that spending on British programming could fall in real terms by £500m over the next decade – posing a real risk to the volume and breadth of British content available, with a potentially damaging impact on distinctiveness, risk-taking and innovation. A successful new BBC Studios will be better placed to make the investments others will not. Production arm BBC Studios is internationally recognised for making high-quality British programmes across a broad range of genres and specialisms. Boasting 81 awards so far this year, its output includes the highly acclaimed Blue Planet II, Strictly Come Dancing, Antiques Roadshow, EastEnders, Top Gear, the award-winning drama Three Girls, Louis Theroux’s latest documentary series and Drugsland on BBC Three. 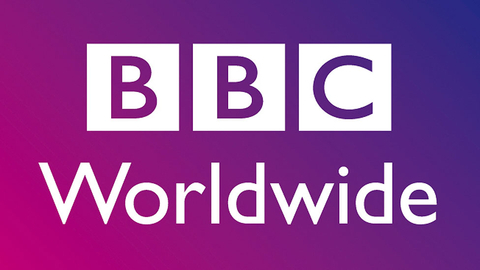 BBC Worldwide has a strong track record in financing and commercially exploiting British IP across numerous markets and platforms, returning almost £1bn to the BBC in the past five years, to be reinvested into programmes for BBC audiences in the UK. It has invested in, marketed and distributed global hits from BBC Studios, including Planet Earth II, winner of the Outstanding Documentary Series Emmy in 2017, sold to 233 territories; Doctor Who, sold to 239 territories, Top Gear, sold to 241 and Strictly Come Dancing, internationally licensed 54 times as Dancing with the Stars. BBC Director-General Tony Hall says: “In a fast-changing TV industry, securing the future success of the BBC is vital. “Creating a single BBC Studios will bring the BBC in line with the industry, be simpler and more efficient. It will help ensure that licence fee payers in the UK continue to receive outstanding British programmes which reflect British lives, long into the future. Tim Davie says: “Creating one company, in line with market norms, is a natural step in this market. “The new BBC Studios will be focused on the highest quality British content, underpinning our future financial return to licence fee payers. It will allow us to better serve customers, indie partners and the wider industry, resulting in world-class British productions for audiences in the UK and overseas. Mark Linsey says: “Bringing BBC Studios and BBC Worldwide together will help secure the BBC’s future and guarantee our unrivalled creativity, risk-taking, quality and range.